All your favorite things side-by-side. 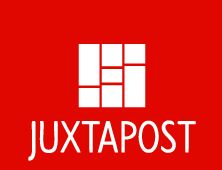 Juxtapost is here to help you remember all the amazing things you see while you browse the web. From planning a wedding, to furnishing a room, there is no end to the number of things people use the web for. However with all its infinite options, managing what you find has become a massive undertaking. For years, web users have relied on a browser’s bookmark tool to save what they find, however this has become far too ineffective when attempting to organize more than a few dozen pages. That’s where Juxtapost steps in. Its sole ambition is to provide members with easy-to-use tools to "bookmark" the photos they find into categorized postboards (collection of posts) that they can easily curate, even if their collection spirals to hundreds of websites. Why wait to be invited? Get started with your collection right now! No need to share all your ideas when planning a party or event. Keep some things secret! Juxtapost gives you the option when you post a new item to either share with everyone, just your friends, or keep it entirely private (just for you). Sometimes you want to share your private postboard with a client or a select few, with Juxtapost that's not a problem. We give you a special URL to unlock your private postboard temporarily for that visitor. And you can revoke the link at anytime if needed. The only thing better than one curator is more curators! Our postboard collaboration tool works great for school projects and design firms by allowing multiple members to post to a single postboard. Did you know every post at Juxtapost has a dozen more like it? Now you can instantly branch off to similar posts without leaving the page your viewing, simply click the "More Like This" button and we'll instantly display more posts you might like. Discovering new things here at Juxtapost is part of the fun. With that in mind, we’ve made it fast and easy to zoom on any item while you’re browsing a postboard. That way you can see things in detail and you’ll never lose your place! Ever to try share a neat find on other social discovery sites? You usually can’t with non-members. At Juxtapost you can share instantly with any of your Facebook friends or you can send directly to any e-mail address. Because when you need to easily e-mail Mom the tasty Mac and Cheese recipe you posted, you should be able to!